This indoor bike has micro-adjustable aluminium seat and handlebar posts with adjustments at 1/2” increments and combination SPD-compatible pedals to provide maximum comfort during your cycle. The oversized bottom bracket and crank assembly features two SKF precision bearings and forged high-carbon cranks to withstand the demands of intense training. The bike also has a non-slip handlebar grip for a comfortable and stable ride and a 6-position handlebar design to support a wide range of riding techniques. 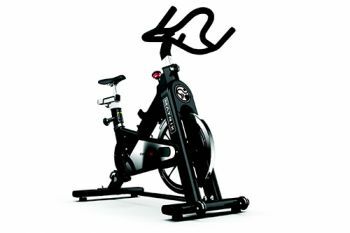 The indoor cycling computer integrates individual feedback within a group dynamic, allowing users to measure their progress. The computer screen will light up in different colours according to the intensity of your workout.